The Muerto-900 features a 5 1/2 inch finger bone heel, 1 1/2 inch platform and dual skull buckle straps on the heel. 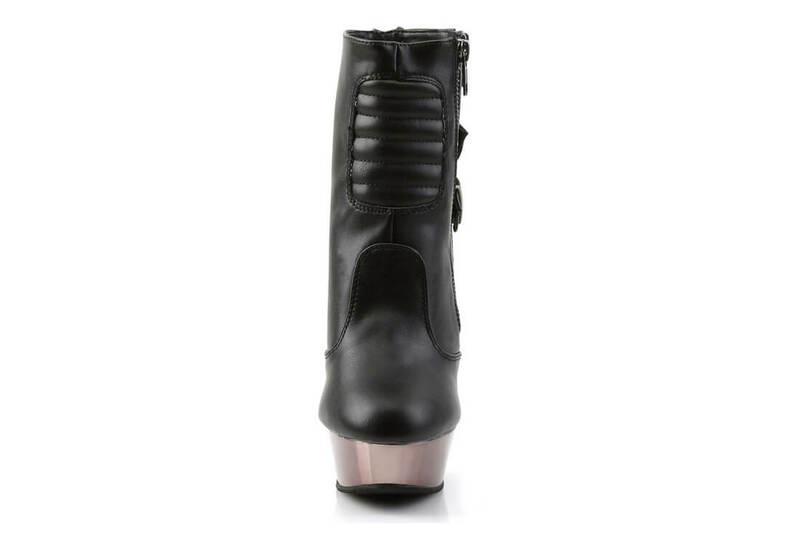 These fantastic looking boots have pewter chrome plated bottoms and metal inner side zippers. I bought these boots for my wedding & they are fierce! They are very comfortable even though the heel is high. I'm pleased with my purchase.